Newport Public Anchorage is an anchorage located at 33.609152 N, -117.907193 W. Vessels can find protection during most prevailing conditions, but not storms. There are 0 slips and 0 mooring buoys available. Berthing costs are estimated to be free. Diesel fuel and gasoline are available, unless otherwise noted. 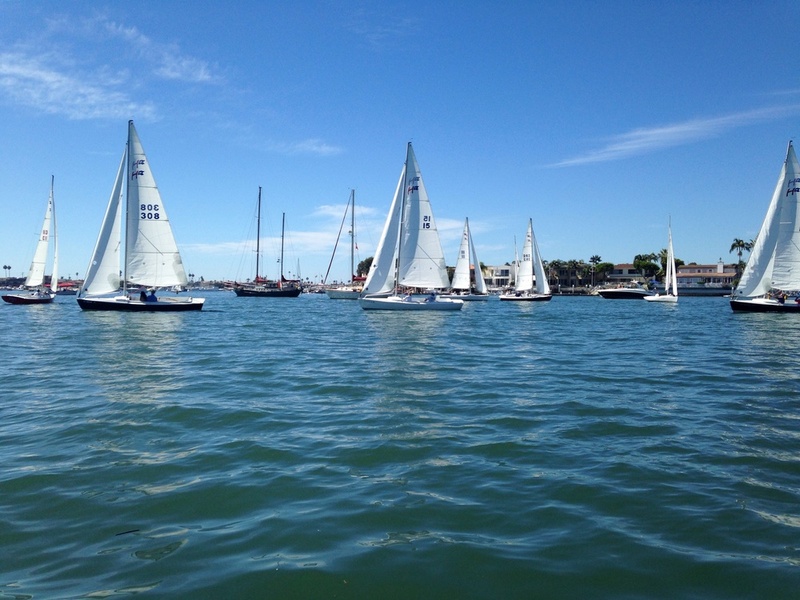 - "Newport Harbor Public Anchorage // sailing classes coming close to the anchored boats. " 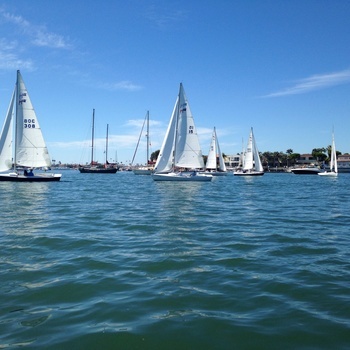 The anchorage in Newport Harbor is free for up to 5 days, offers great views of the city, and is flat calm (unlike the public docks that suffer from terrible surge). The bottom is thick mud that requires some effort to clean off. Harbor patrol requires that you stay on your boat at night, and we're pretty sure they do evening checks. We've seen them come by with spotlights. During our visits, we would spend most of the day off the boat with the dinghy locked up at the dinghy dock near the Coast Guard station. It's a bit of a ride from the anchorage, but that was the most convenient dock for us.